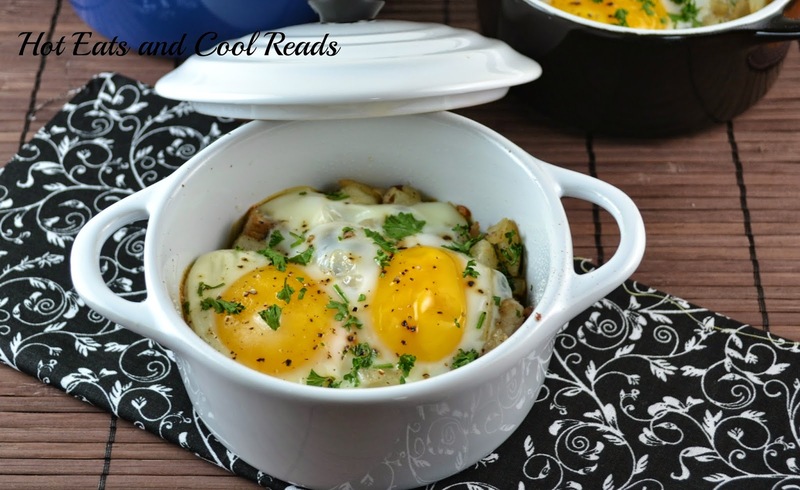 Hot Eats and Cool Reads: Individual Egg, Hashbrown and Sausage Breakfast Bakes Recipe with Mini Baker Round Stoneware from Crafts Direct! 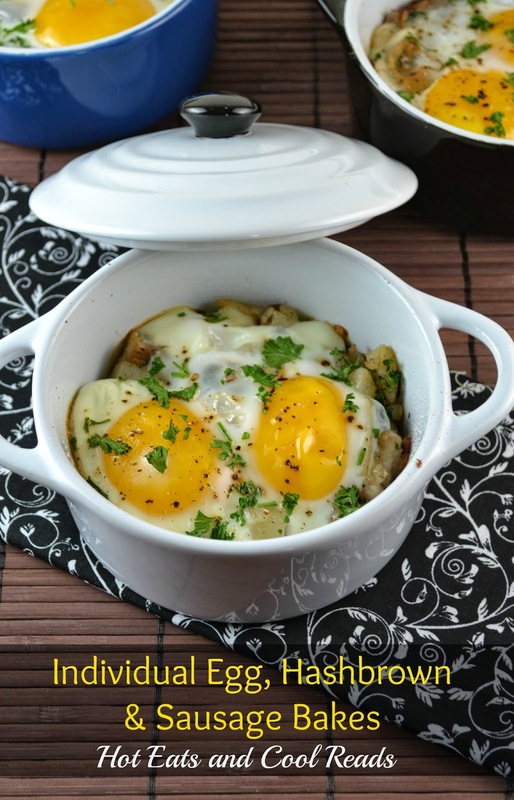 Individual Egg, Hashbrown and Sausage Breakfast Bakes Recipe with Mini Baker Round Stoneware from Crafts Direct! Disclosure: Thanks to Crafts Direct for sponsoring this post! Growing up in central Minnesota, anytime someone talks about crafts or scrapbooks, the Crafts Direct name comes up! Crafts Direct is a locally owned store here in St Cloud, Minnesota and it happens to be one of my very favorites! This store is so much more than craft items. You can also find cute home decor items, a kitchen section, seasonal items, and even a cafe! They also offer various classes, and donate to many organizations in the community! Today I'm sharing a new product at Crafts Direct! 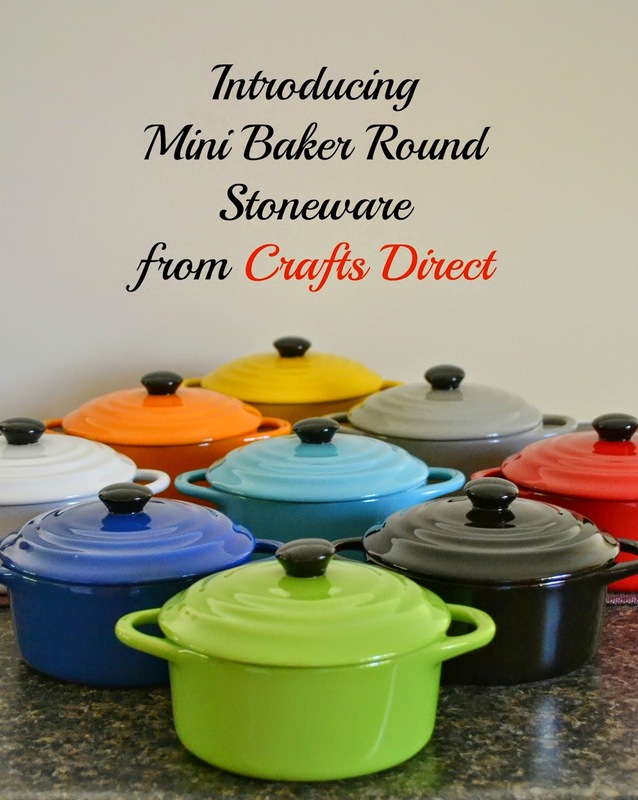 These Mini Baker Round Stonewares are so colorful and functional! They are perfect for any kitchen! You can find 9 colors available, and what's best, these Mini Bakers are oven, microwave and dishwasher safe! The handles stay cool in the microwave and the cover is so handy to prevent microwave messes. I love using them to make individual sized meals, like the amazing Egg, Hashbrown and Sausage Breakfast Bakes below. I also love them for storing leftovers and serving dips! They make perfect gifts for the upcoming holiday season, especially for college students and families. Each one measures 6.25" wide x 3.5" high - 4.5" wide x 2" high inside and holds approximately 2 cups! 100% stoneware! Crafts Direct can be found on Facebook, Instagram, Twitter, Pinterest and their Blog! Their store can be found at: 620 Sundial Dr, Waite Park, MN 56387. It was a crowd pleaser, even for my picky 7 year old! You can use any vegetable or meat combo! It's super easy to switch up and so hearty and filling! Preheat the oven to 375 degrees. Grease Mini Bakers with melted butter. In a medium frying pan, saute the sausage, onion and mushrooms for 5 minutes over medium heat. Add thawed hashbrowns and 2 tablespoons parsley and saute for another 3-4 minutes. Season with salt and pepper as needed and remove from heat. Evenly divide the sausage and hashbrown mixture into Mini Bakers. Crack 2 eggs on top on each, and sprinkle with salt, pepper and remaining parsley. Bake for 30 minutes, until eggs are set. Serve immediately. For leftovers: Cover and refrigerate. Re-heat in the oven or microwave. Mini Bakers are oven, microwave, and dishwasher safe! Those are the most adorable little dishes! They are, Melanie! We love them! These look delicious! I already went on the website and ordered myself 8, lol. I can't wait to try them out :) Thanks for the coupon. I love those little bakers!! I need some of those. I just made a batch of egg muffins to go in the oven tomorrow morning for the kids but I love the idea of using these. I'd love it if you'd swing by our Foodie Fridays this week and share the recipe there, if you have a free moment. We go live at 9 pm Thursday night. Pinning this in the meantime! Just checked out their website and ordered myself a set of 6. :) Great prices! Thanks for the coupon too! These are completely adorable! I may just order some! I would love one of these... if not two or three. ooo those are SOOO cute!! I love those little stoneware dishes... I would love a set!! How fun!! Pinned it! 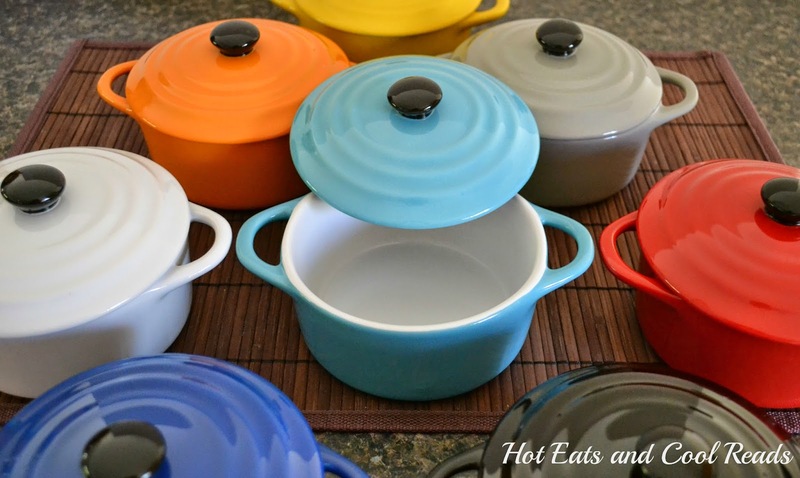 I just love those colors of these dishes! I'm going to need to grab myself a set. I really want some of those dishes, now, after seeing this! Those are adorable! Love the colours. Your recipe sounds so easy to make... even for me LOL! I love the idea of doing individual ones! I love the pots! And the recipe would be perfect for brinner, which we love at our house! Pinning! Those dishes are beautiful! I love all of the bright colors. I need some new pots and would love to pick one of these up for my kitchen. This is such a perfect recipe for a weekend brunch! :) And I am loving all the colors those mini bakers come in- fun for sure! I love these pots. Makes me think of the ones I see on those cooking shows when they give individual servings. Thanks! What a delicious breakfast! Yummy! And those mini-bakers are just absolutely adorable! I want them for me! Those mini bakers are too cute! I love baked eggs and they look like the perfect size. those just went on my "honey I really would love these" list! Those pots look great! A yellow one would match my kitchen perfectly! Those pots are fantastic and the recipe looks amazing! Pinned! I need this dish and those dishes in my life. I received some for Christmas last year. 2 round and 2 oval. These are cute and love the colors. These mini baker round stonewares are adorable! I think I need one in every single color! And I love your individual Egg Hashbrown and Sausage - the perfect hearty breakfast! I love these little stonewares. I have just one I found at an antique store, but I'd love to get more. That recipe loves divine! Do you bake covered or without the lid? Hi Jennifer! I baked these uncovered without the lid. Thanks!